Carl J. Bruning Jr., 89, of Rogers Township, passed away Monday morning August 27, 2018 at MidMichigan Medical Center in Alpena. Son of the late Carl and Martha (Wagner) was born June 3, 1929 in Rogers City. Carl enlisted in the United States Navy and served from 1950 until 1954. He was joined in marriage to Delores Krey June 24, 1951 in Three Rivers. Together they made their home and raised their children in Rogers City. r of the American Legion 0121 in Rogers City and Trinity Evangelical Lutheran Church where his carpentry skills were used to assist in the building of his church. Surviving are four children, Cheryl Liska of Wisconsin, Lori (Craig) Taylor of Davison, Mark (Pamela) of Texas and Wayne (Sara) of Rogers City; four grandchildren Holly, Morgan, Matthew and Savannah; four great-grandchildren, Noah, Landon, Ethan and Summer; and many nieces and nephews. He was preceded in death by his wife, Delores, December 27, 2008; a son-in-law, Christopher Liska; and five sisters Leora, Doris, Geraldine, Ruth and Carla. A memorial service will be given for him September 6 at Trinity Evangelical Lutheran Church in Rogers Township. Visitation will be at 10 a.m. followed by an 11 a.m. service with the Rev. Thomas Smuda officiating. Burial will be in Memorial Park Cemetery immediately following the service. 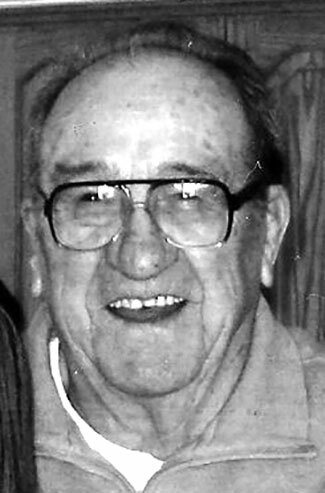 Cremation arrangements are in care of Hentkowski Funeral Home, and online condolences may be sent to www.hentkowskifuneral.com. Memorials are suggested to Trinity Evangelical Lutheran Church. ← Josiah Morgan “Joe” Freel Jr.